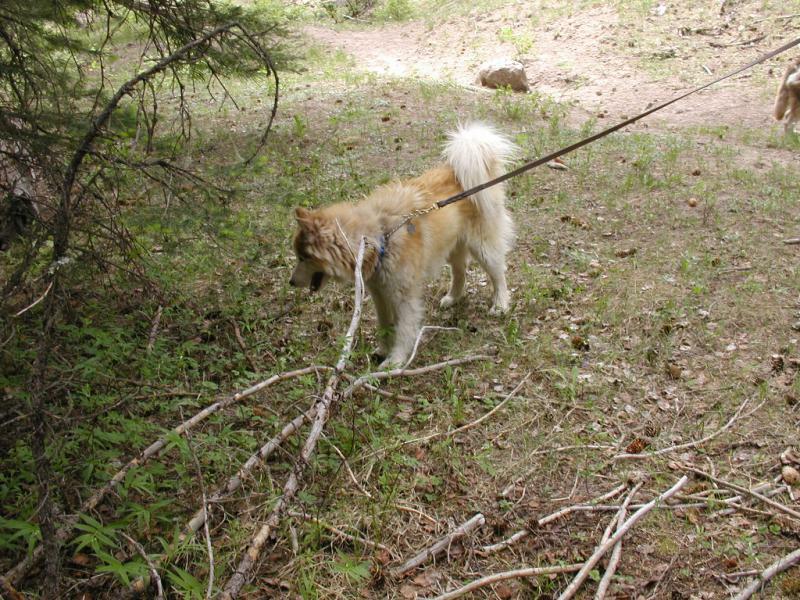 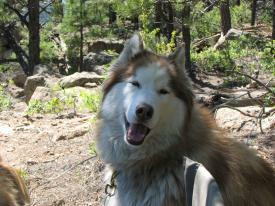 My name is Timber. 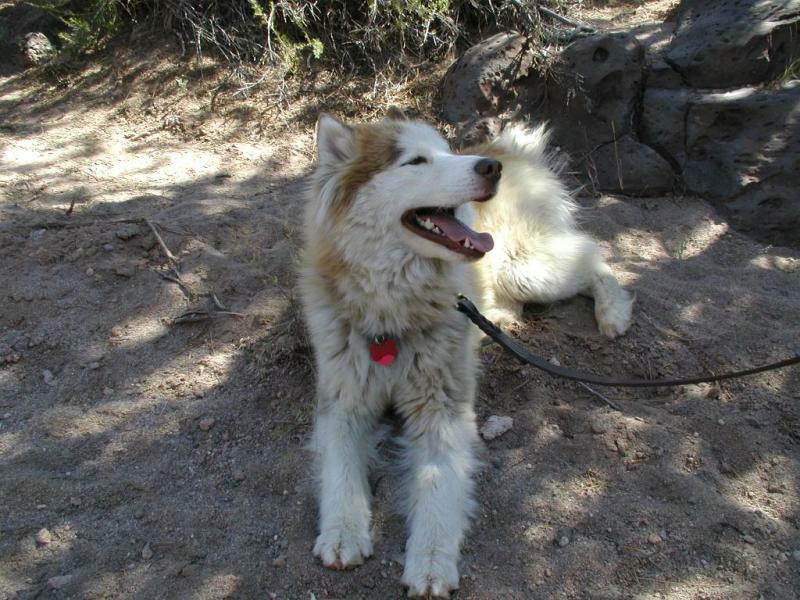 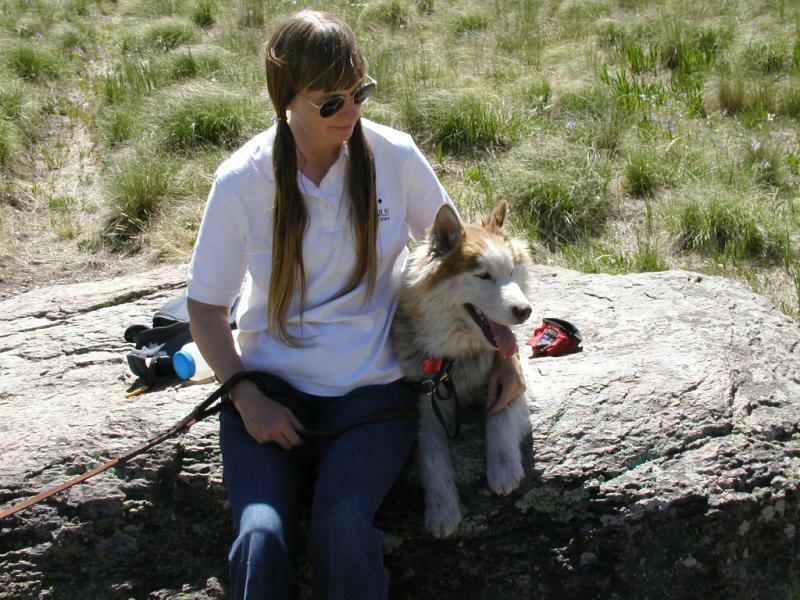 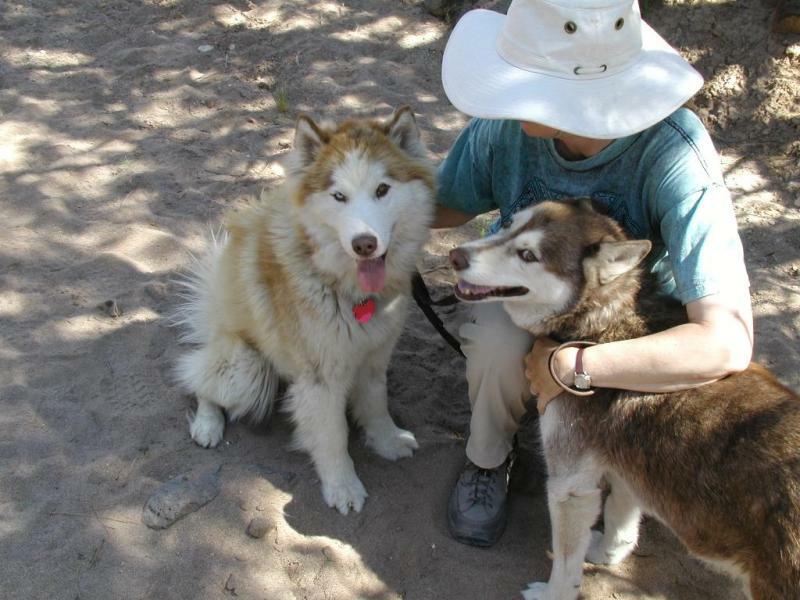 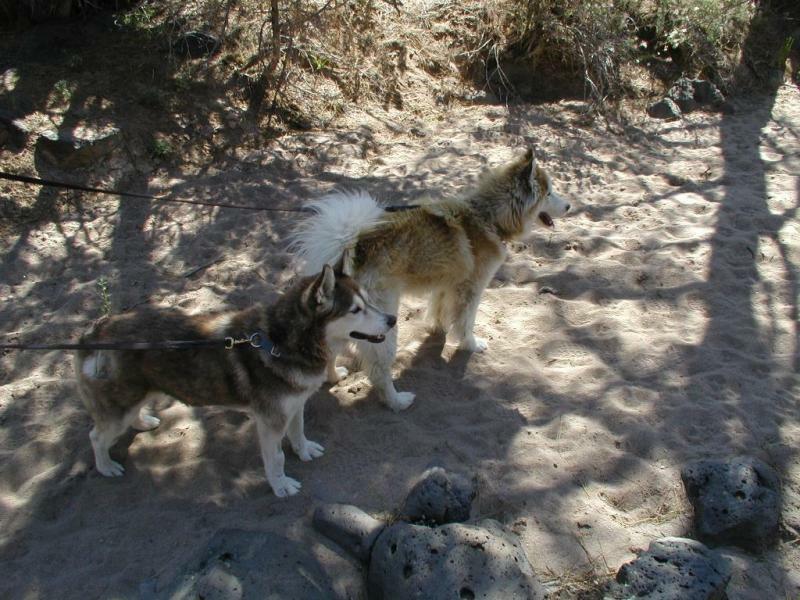 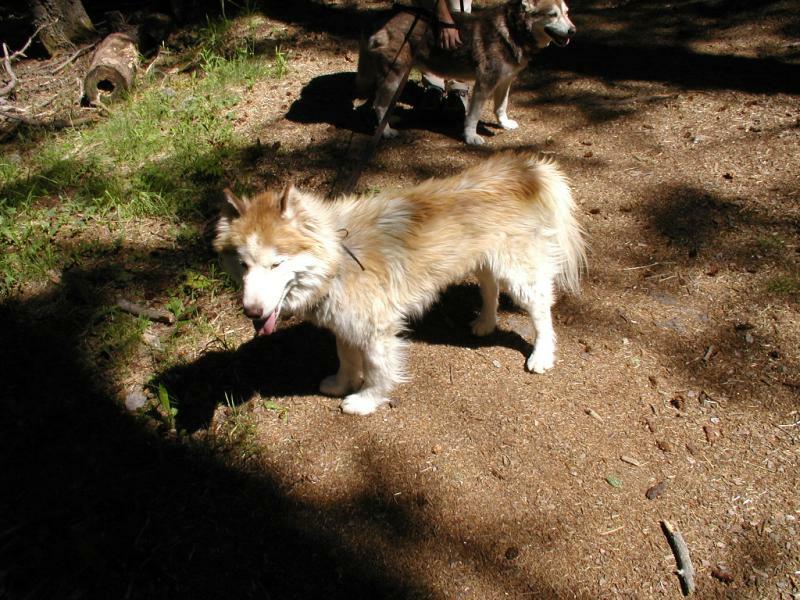 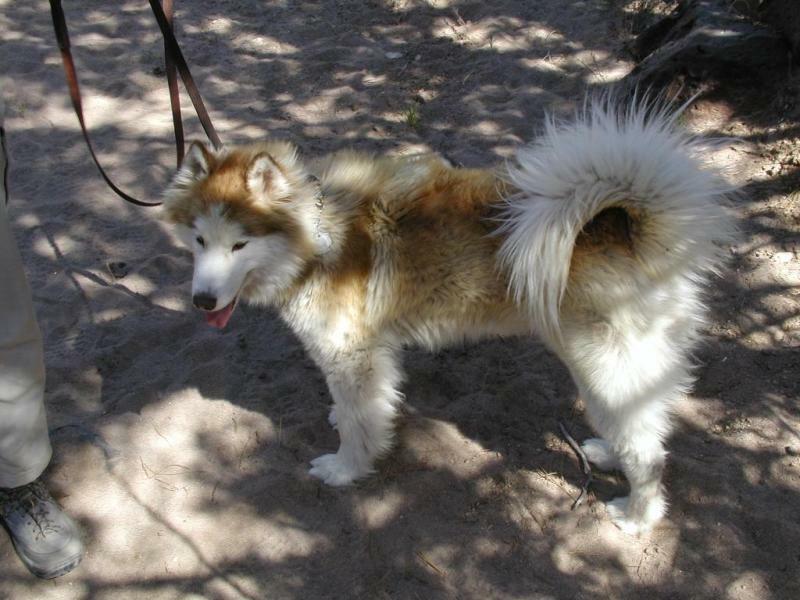 When I was at the Santa Fe Animal Shelter, someone looking for a Siberian Husky saw me and told the New Mexico Siberian Rescue about me. 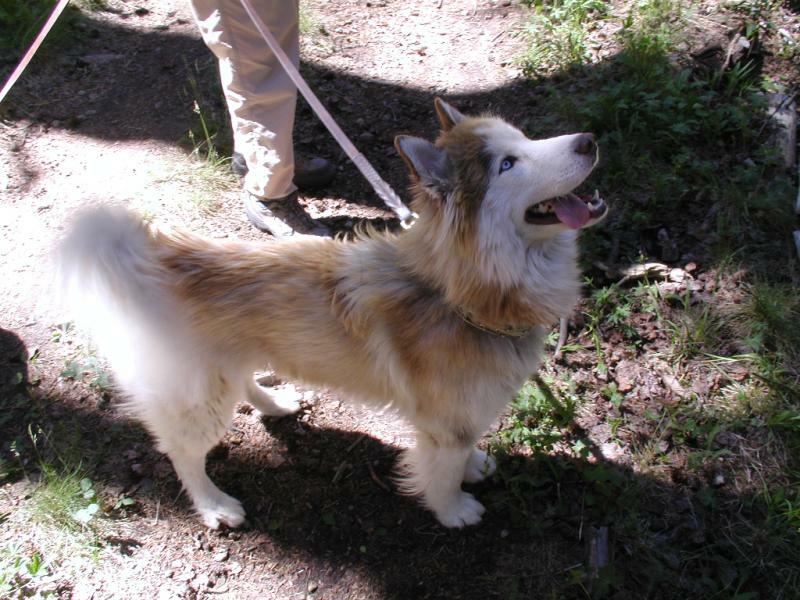 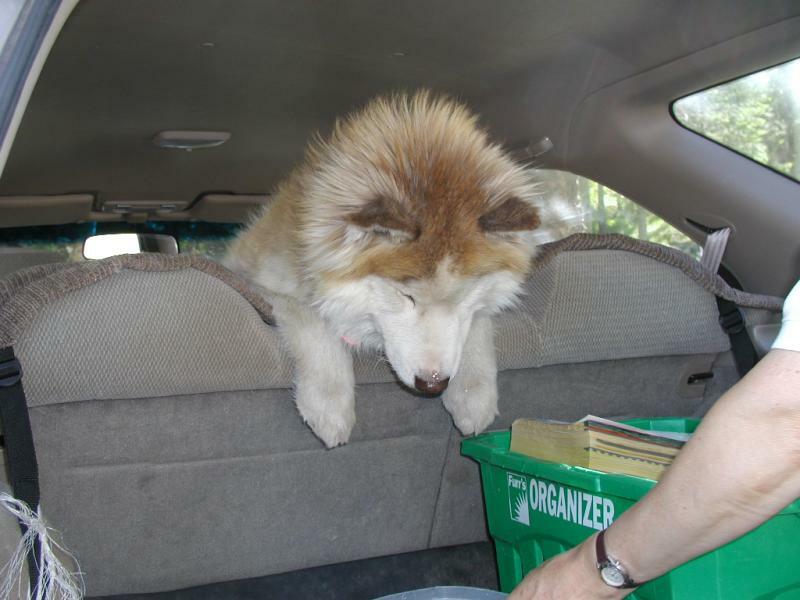 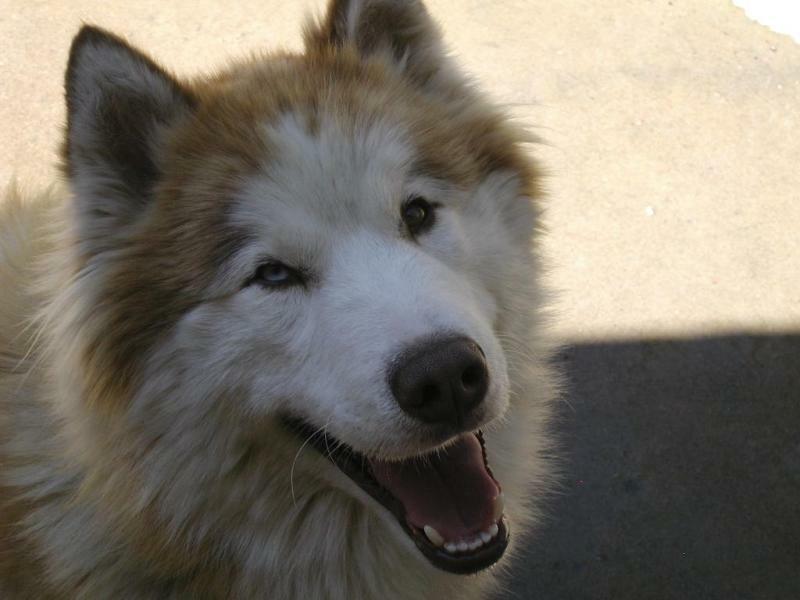 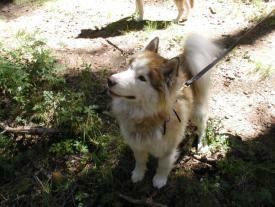 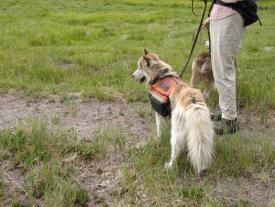 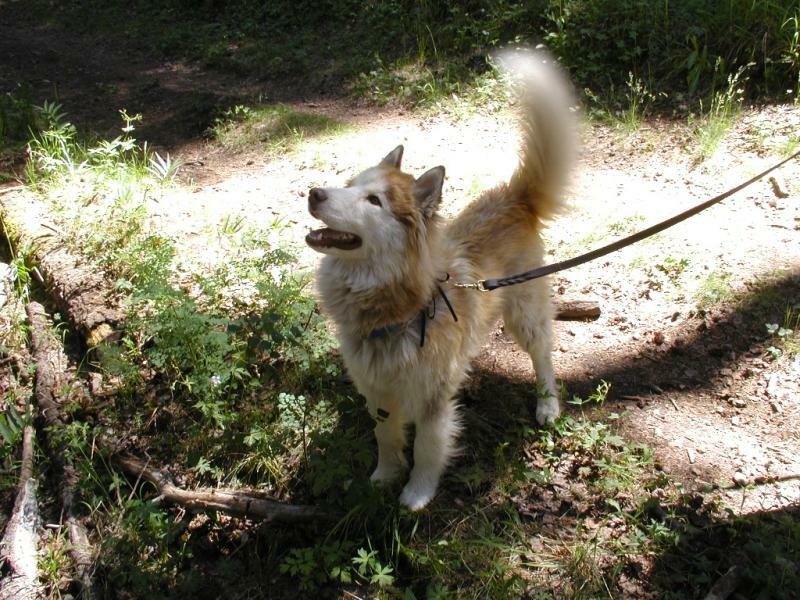 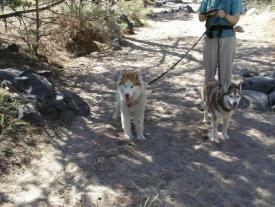 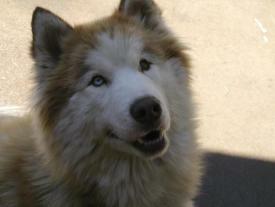 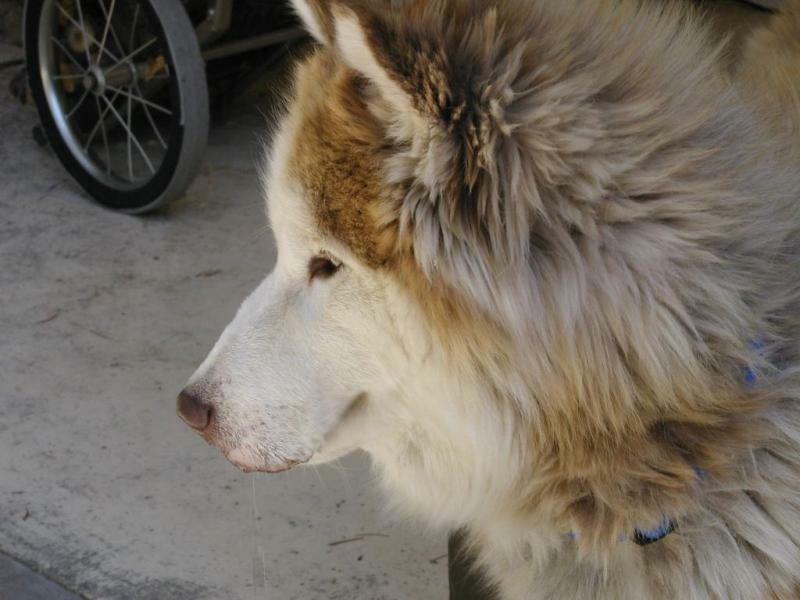 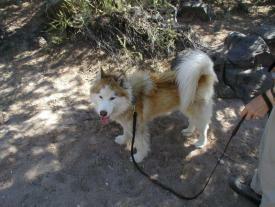 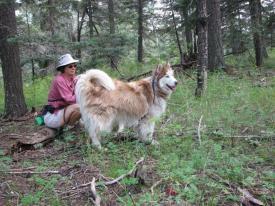 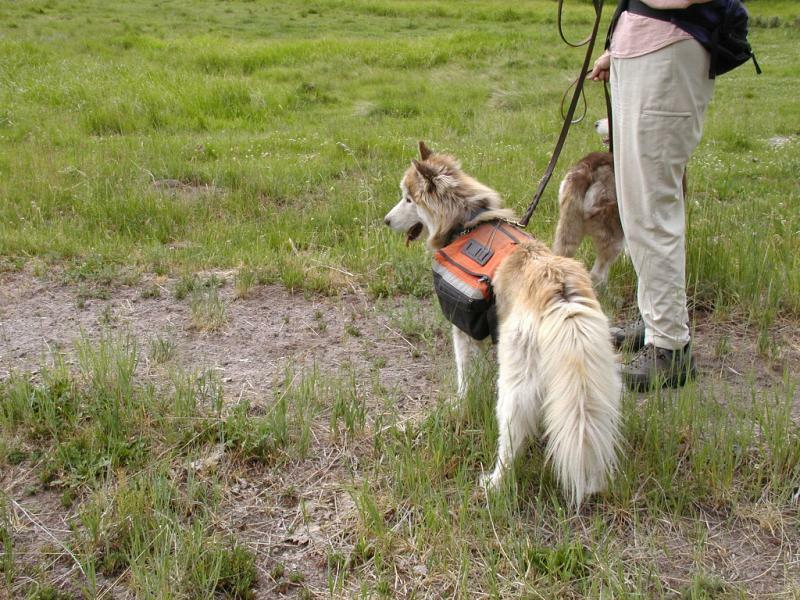 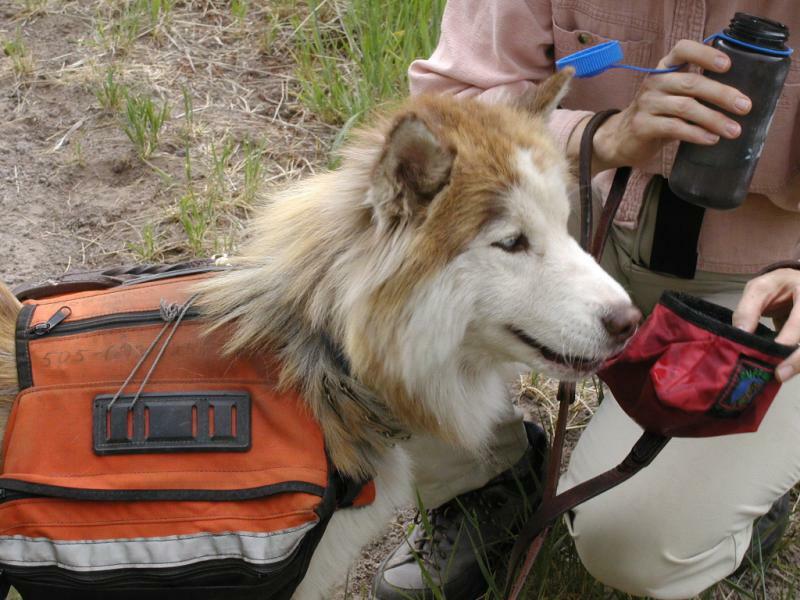 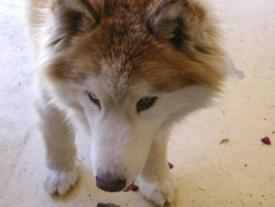 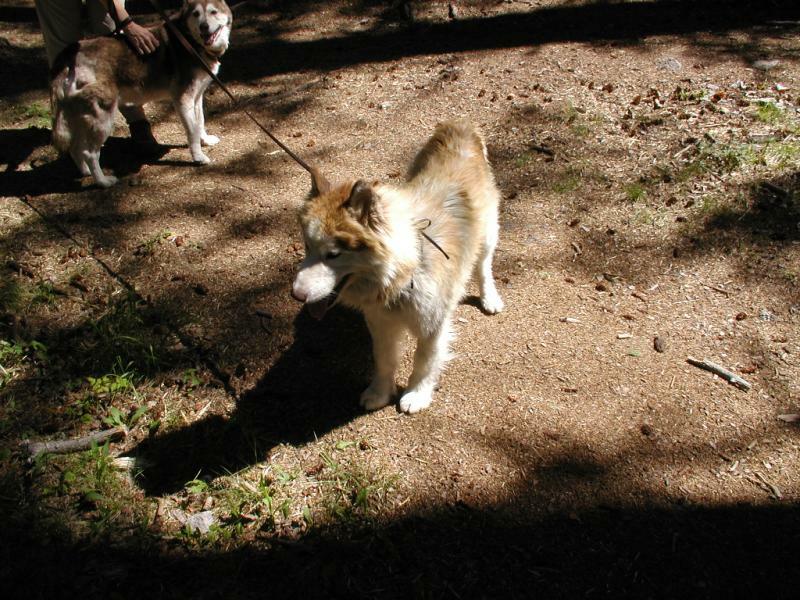 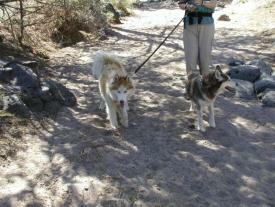 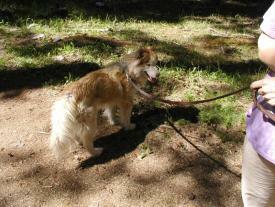 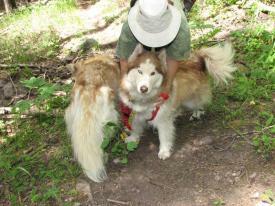 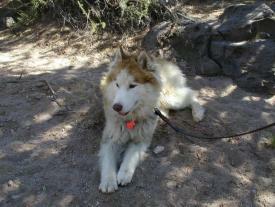 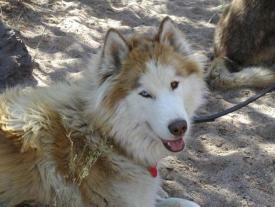 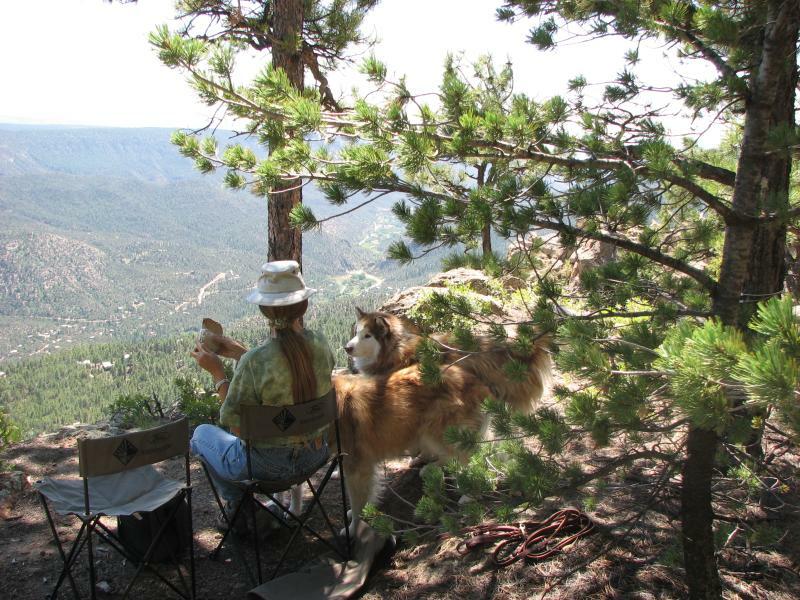 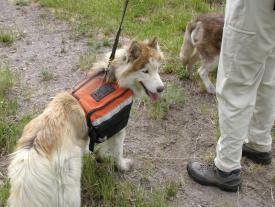 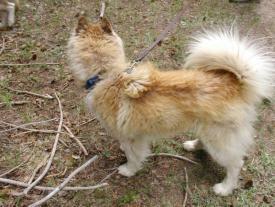 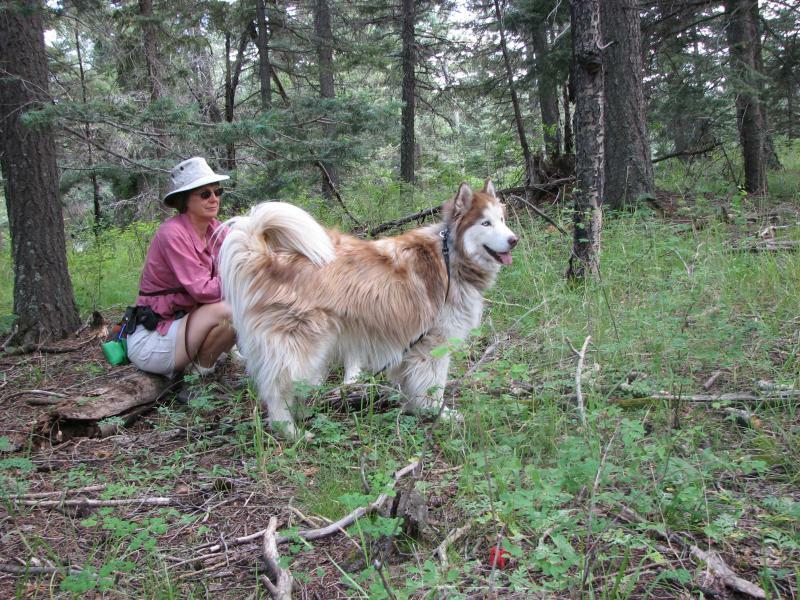 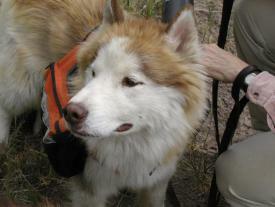 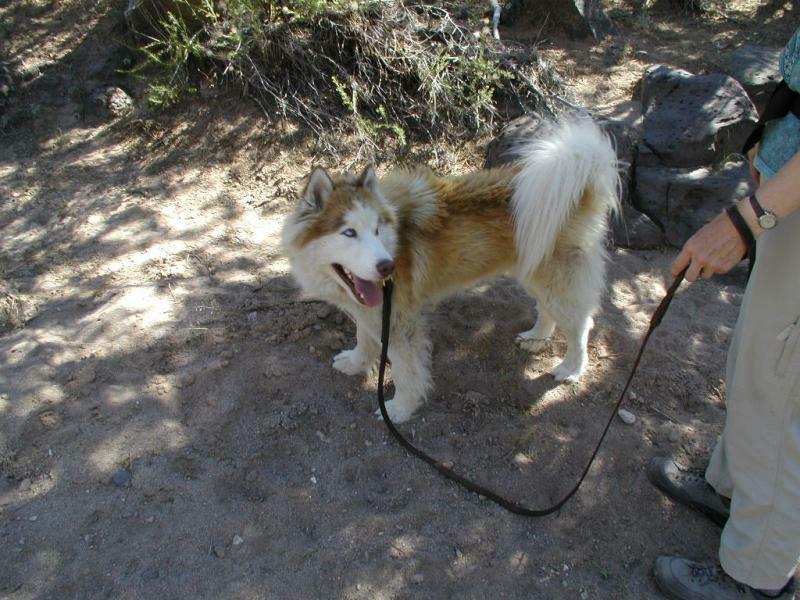 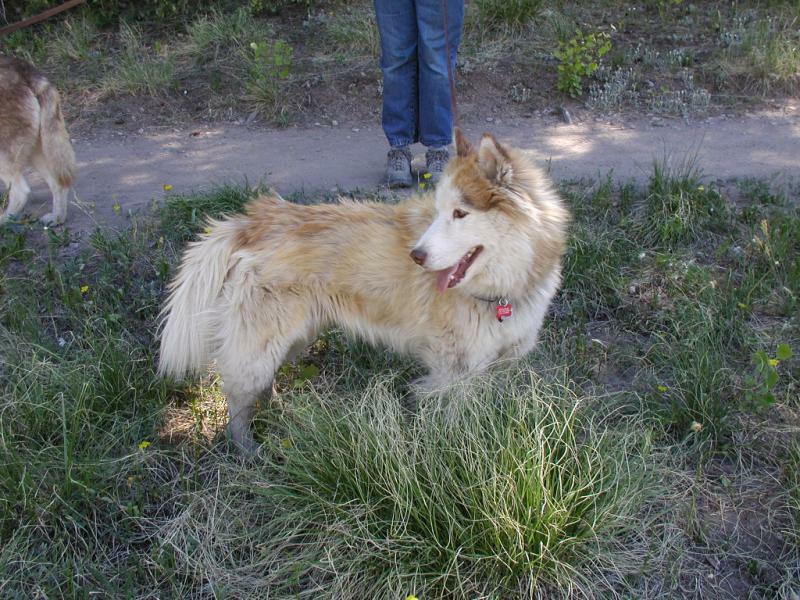 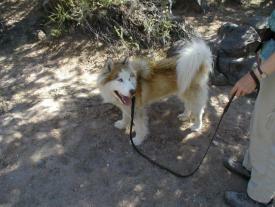 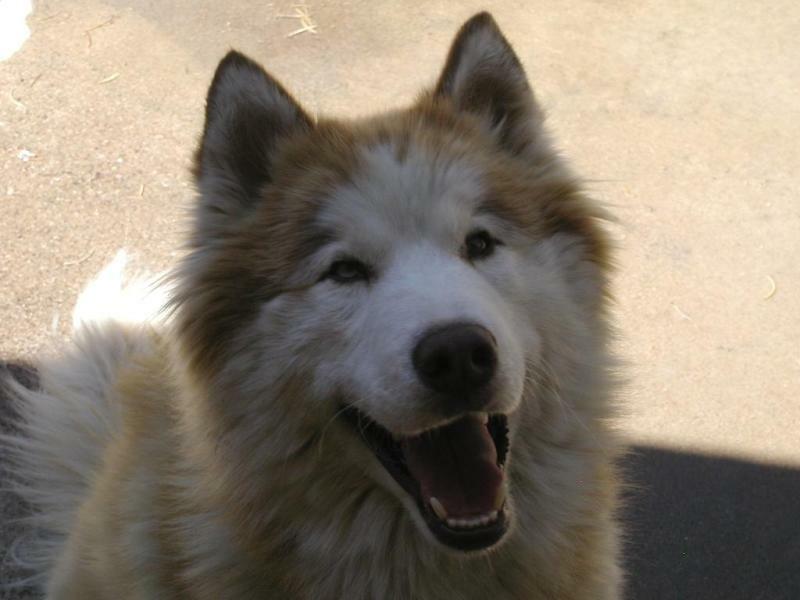 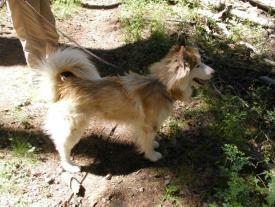 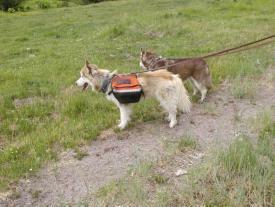 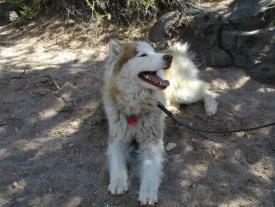 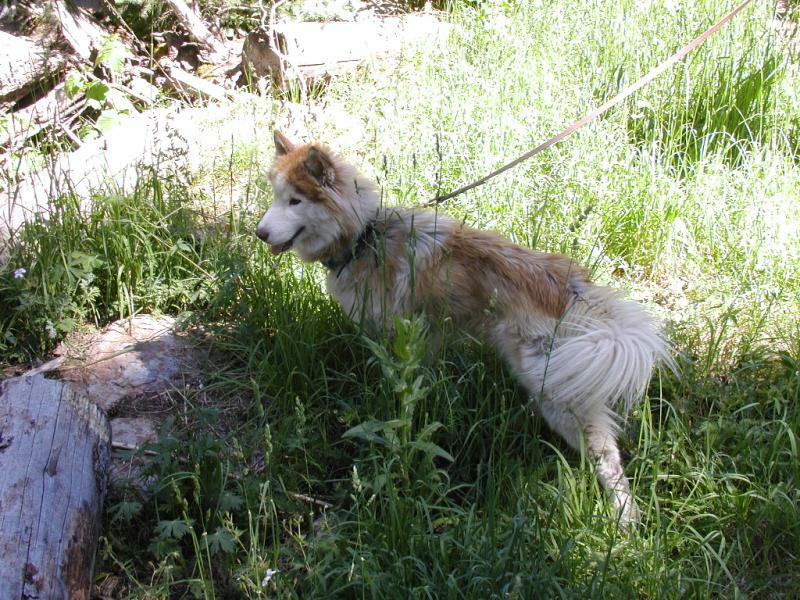 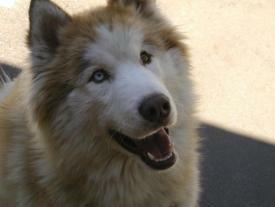 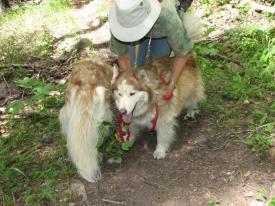 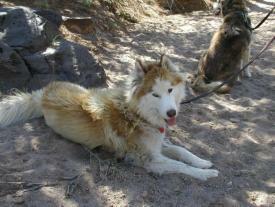 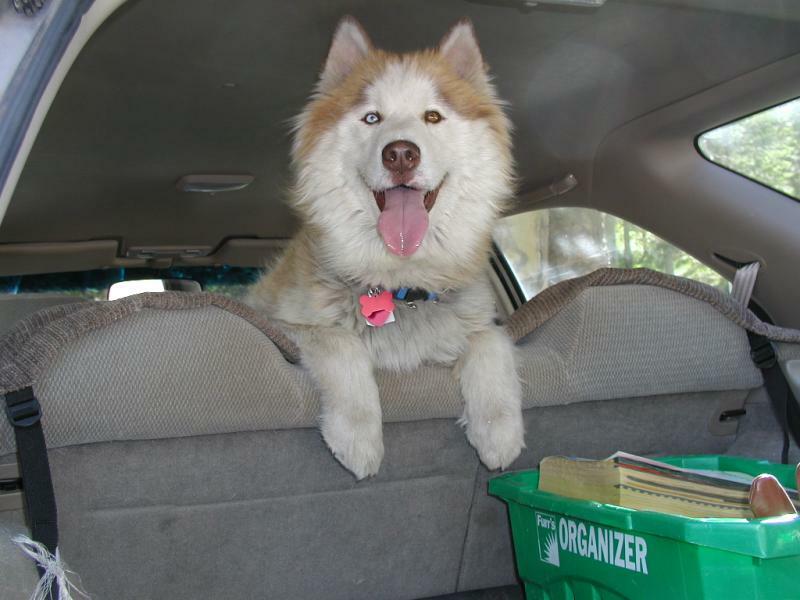 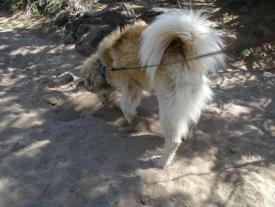 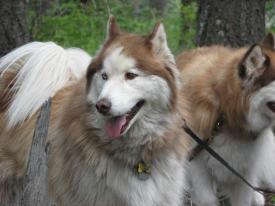 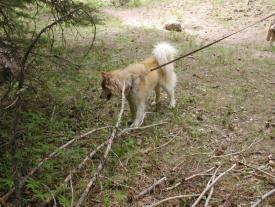 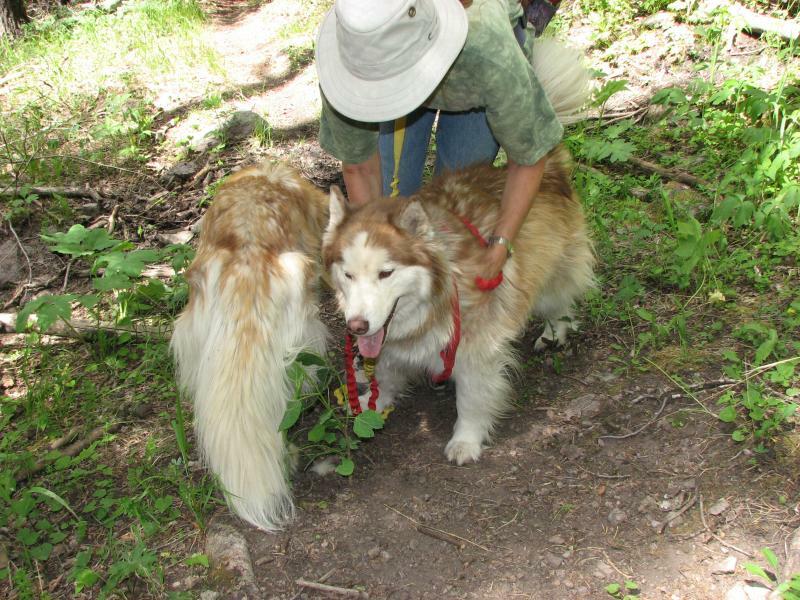 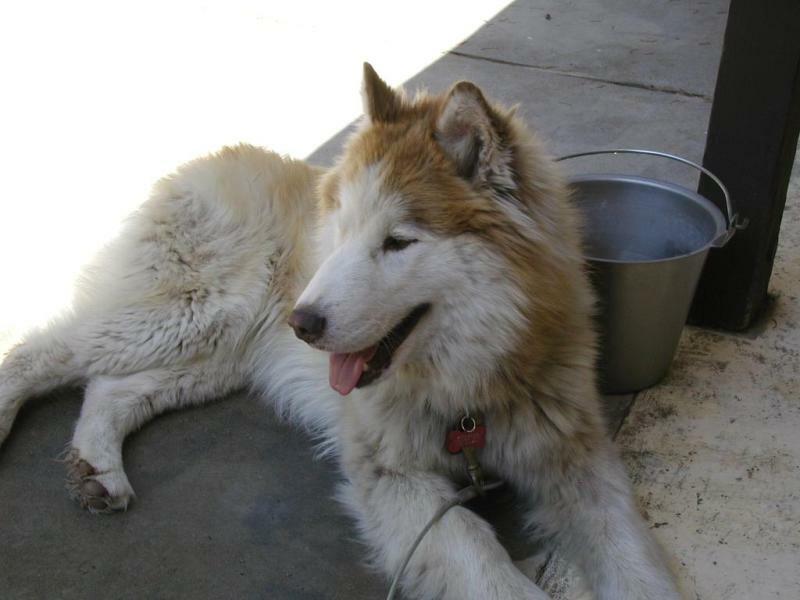 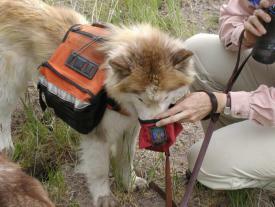 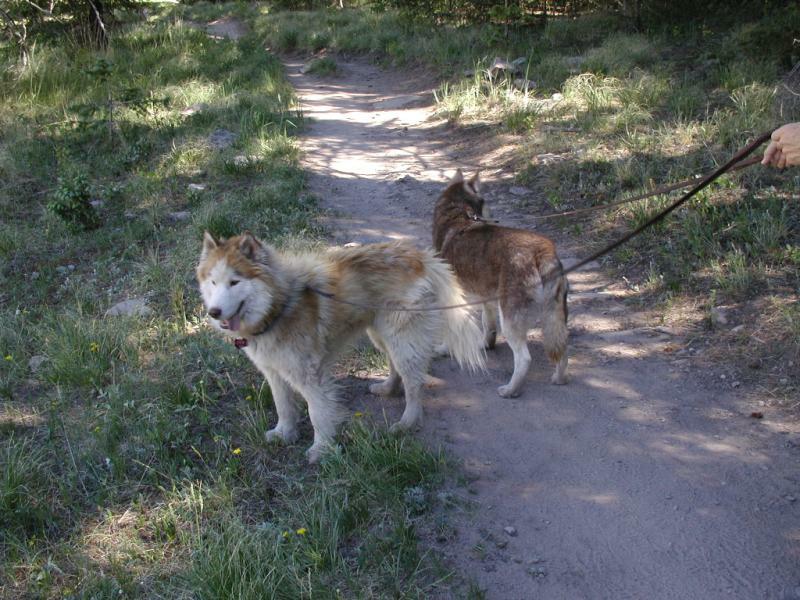 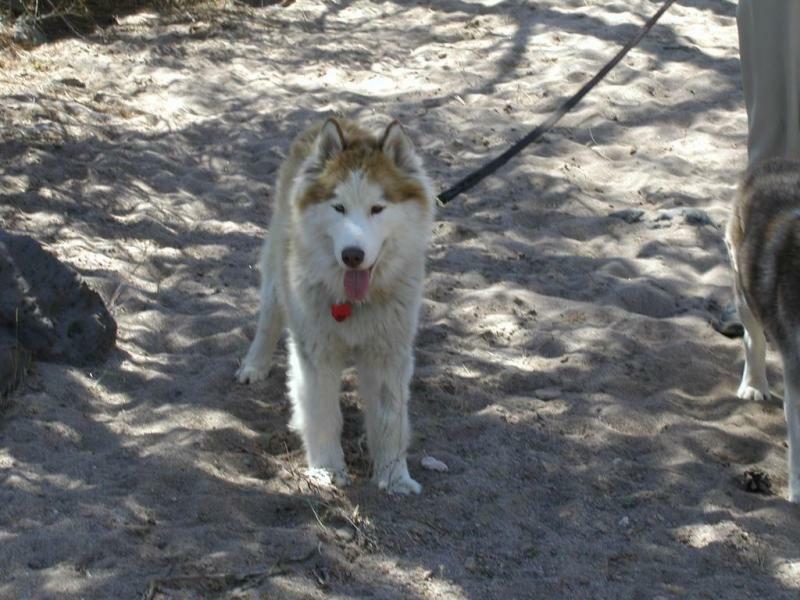 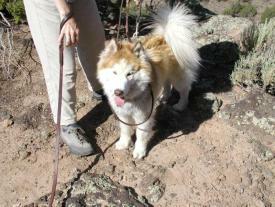 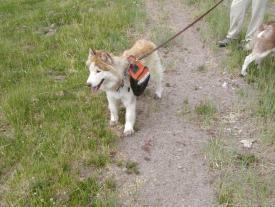 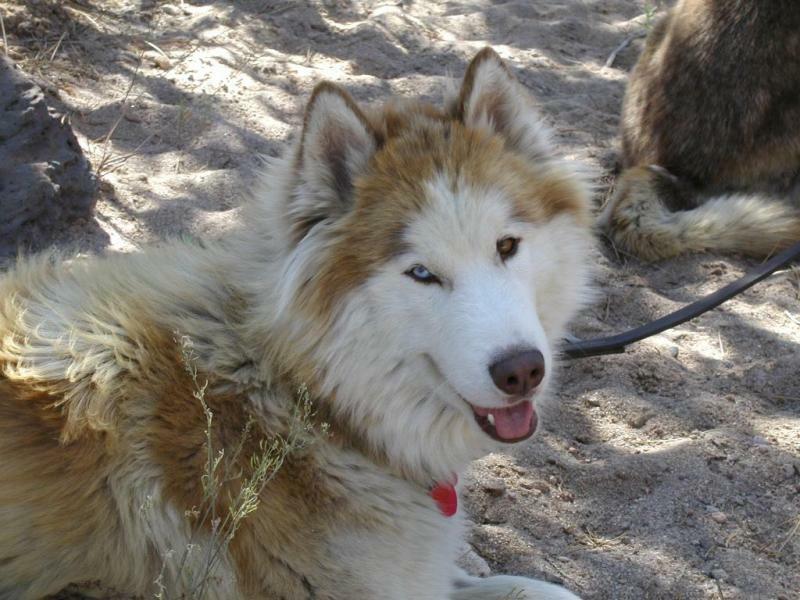 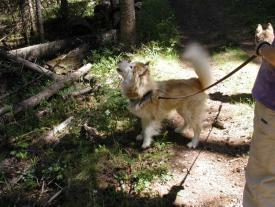 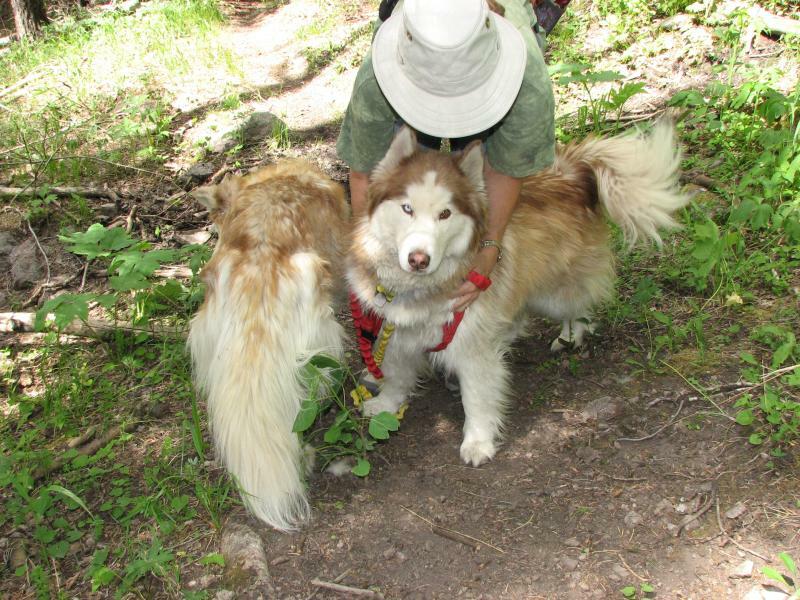 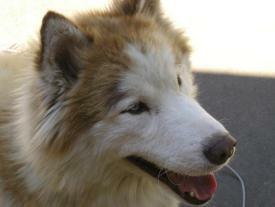 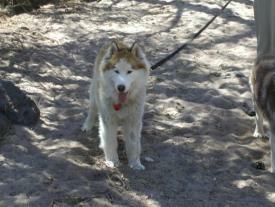 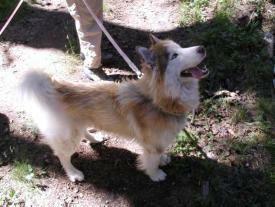 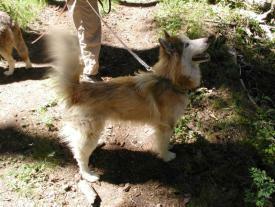 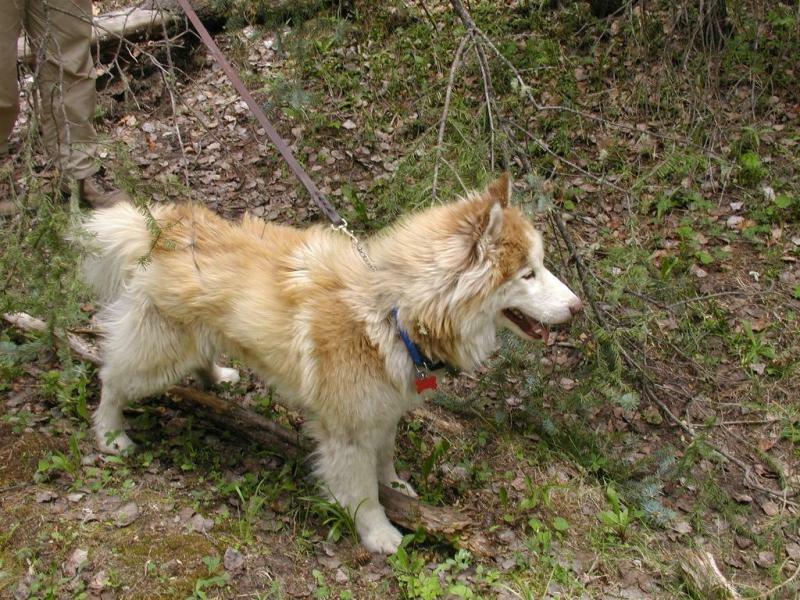 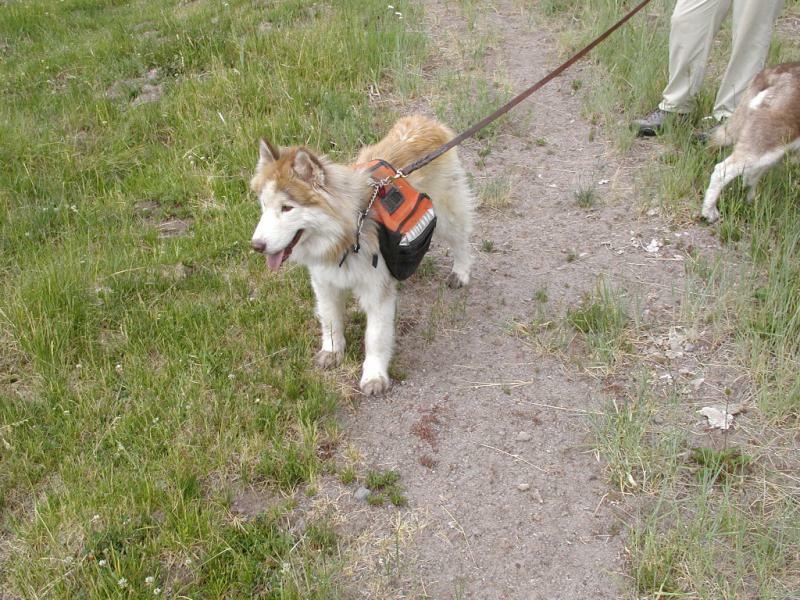 N.M. Siberian Rescue contacted my new owners and they came to get me. 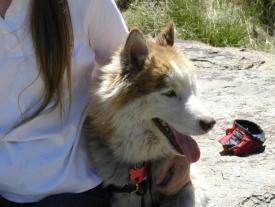 I have a new home and my new owners and Nikki are my new friends. 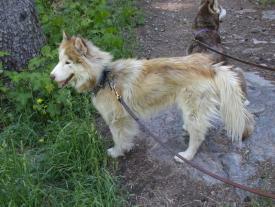 My new life started on June 2, 2004 when I was about 2 years old. Here I am with my new friends. 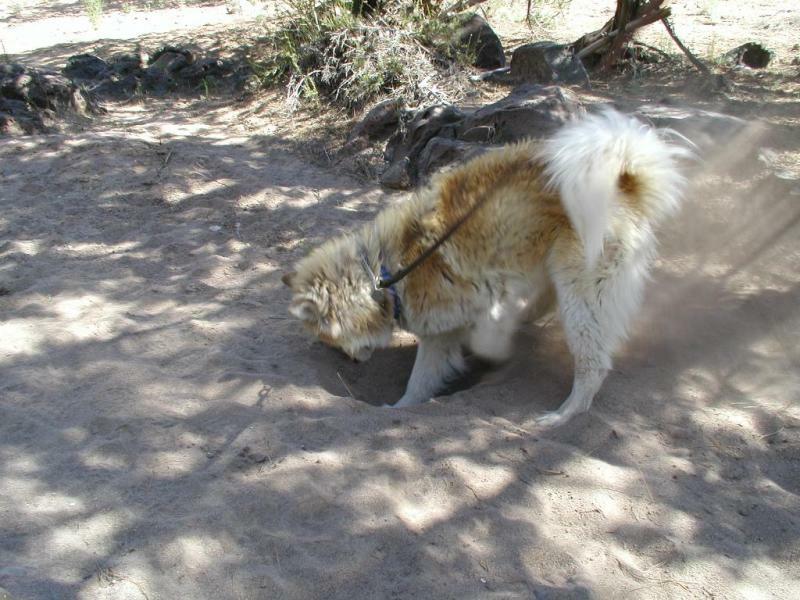 I do like to dig! 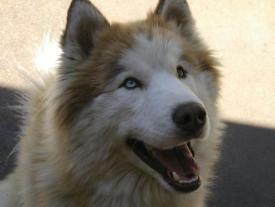 I have one striking blue eye. 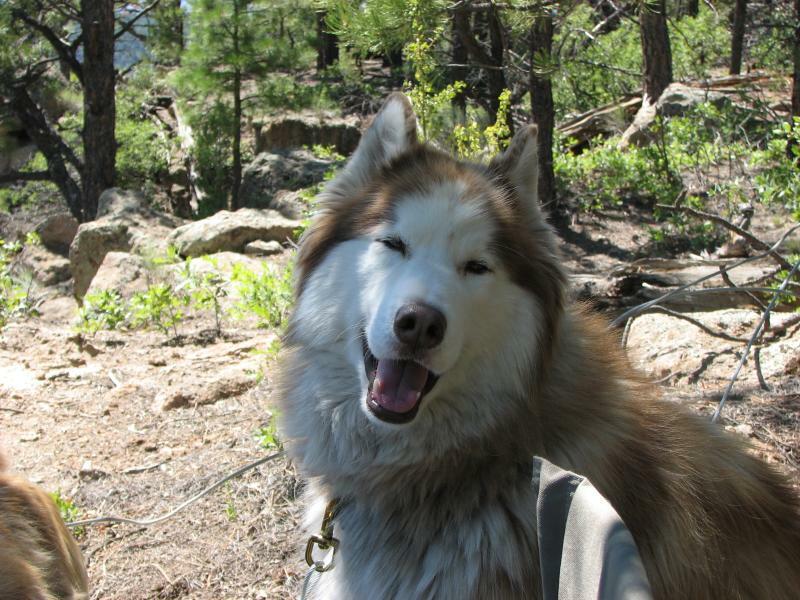 I love going for walks! 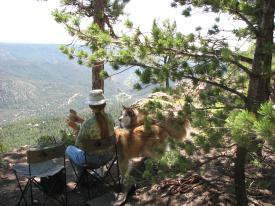 Life is going to be good! Timber - This is MY sandwich!